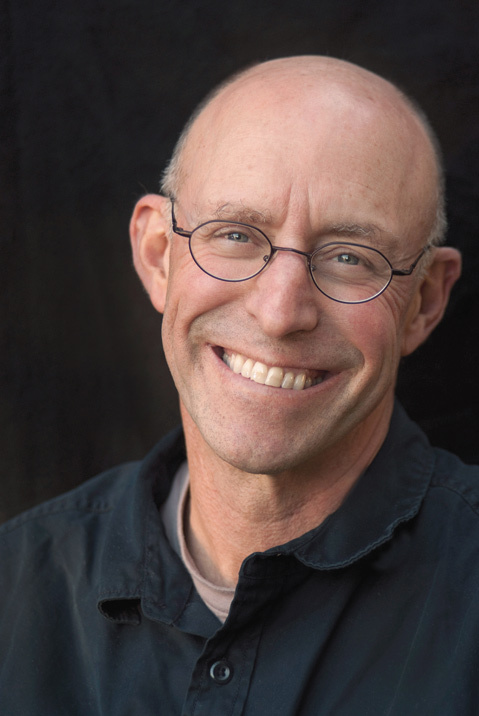 “Our biggest problem as eaters is that we’re thoughtless,” said Michael Pollan in a recent interview with The Santa Barbara Independent. “We don’t know how the food we eat connects us with the world.” That is something Pollan, a journalist and best-selling book author (The Omnivore’s Dilemma, The Botany of Desire), has set out to amend. “What I hope to accomplish with writing and speaking is for people to become more conscious about eating decisions, because they have a profound effect on land, people, the atmosphere,” he continued. Considering the bleak discoveries Pollan has made researching humans’ relationship to food, one might excuse him for becoming cynical about the diminishing relationship between modern society and the agriculture that sustains us, except that he’s not — he clearly remains optimistic about the possibility of a change in attitudes and consequently society. From his home in Berkeley, Pollan shared his thoughts on food fads, our relationship to the land, and what’s growing in his garden. It’s hard to know how to effect change in something as powerful as corporate farming. What are instances of an informed public helping to bring about political action? For one thing, public awareness of the poor treatment of farm animals has led to a lot of pressure being put on the meat industry to change, because of consumers who are disgusted or offended by those practices. Choosing meat from farms that use sustainable processes is one way to express your feelings about that, a way that may have an effect. The meat industry is terrified at losing customers. There’s a constant onslaught of new food fads that are quickly adopted by the buying public. Why is it, do you think? There are two reasons for that. One is that in the U.S., we don’t have a culture of food. It’s harder to convince Italians or French to revolutionize their food. They still have [the centuries-old] duck confit on the menu. Because we don’t have a food culture of our own, we’re vulnerable to changes in fashion. Certainly, it would be harder to find gluten-free fans in France or Italy than it is here. I’m encouraged, too, that the word “natural” means almost nothing anymore. It’s losing its appeal as a marketing tool, and a lot of consumers are turning away from it, because it doesn’t mean anything. The second reason is that marketing has a very dramatic effect. [More] than $30 billion is spent each year to market food to us, and it’s very effective. There are always new products, and they change the way we eat. There’s nothing to stabilize us. We’re an immigrant country without a food culture. The [demographics] change with every generation, and that makes us very unusual in the world, and very vulnerable. What have you planted in your own garden in Berkeley? In my winter garden, I love growing lots of potatoes. Right now, though, I’m clearing up the garden so that I can plant summer crops. I ripped out a lot of old kale so I can replant, so I now have younger kale and fava beans and lettuce and spinach, celery and arugula, and other greens. Even in Berkeley, though, it’s cool in the summer, so the only kind of tomatoes I can grow are cherry tomatoes. UCSB Arts & Lectures presents Michael Pollan in conversation with Sansum Clinic physicians/directors doctors Kurt Ransohoff and Fred Kass Thursday, April 30, at 8 p.m., at the Granada Theatre (1214 State St.) For tickets and information, call 893-3535 or see artsandlectures.sa.ucsb.edu.